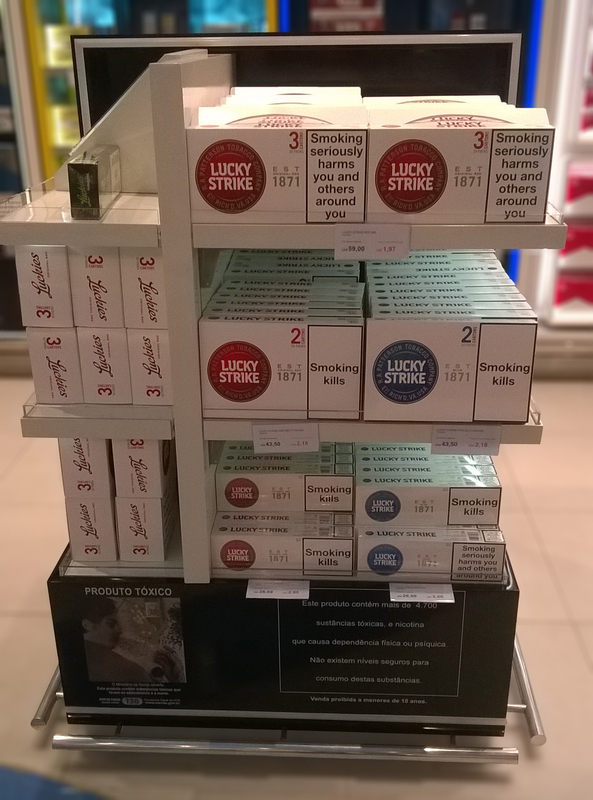 Lucky Strike and Kent Upgrade for Rio Airport! 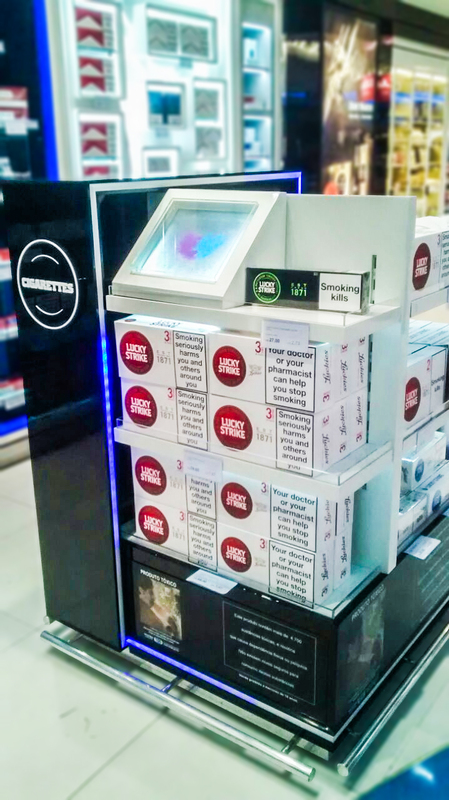 With newly designed and installed gondolas and an updated wallbay, both Lucky Strike and Kent have an excellent presence at Rio de Janeiro Galeao International Airport. 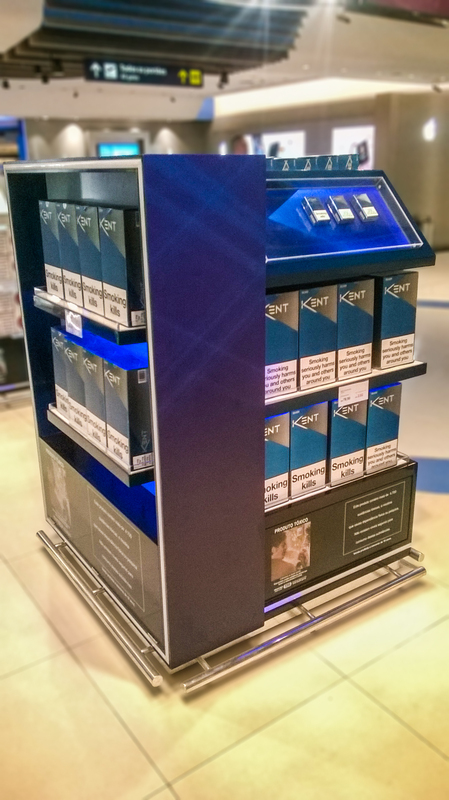 Blue and Red LED lights frame the units and bring the eye towards the product on the illuminated shelves. 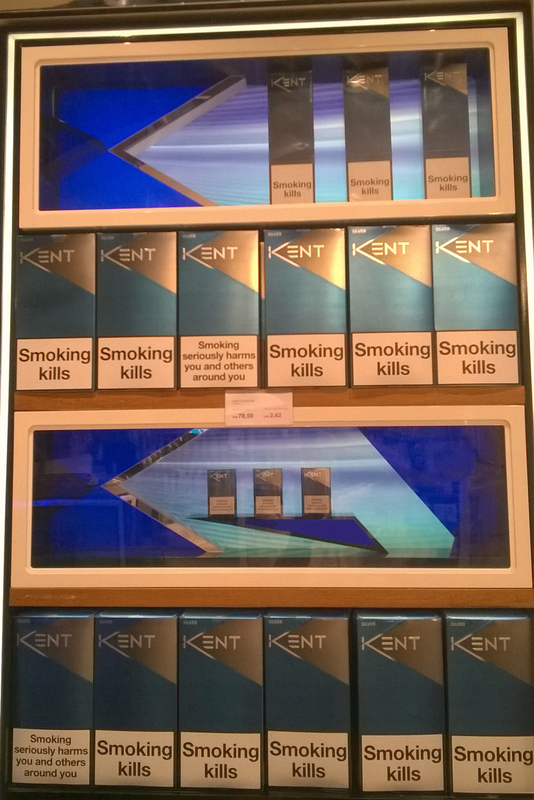 Each brand is surrounded by a glow of its own branded colour, blue for Kent and red for Lucky Strike. 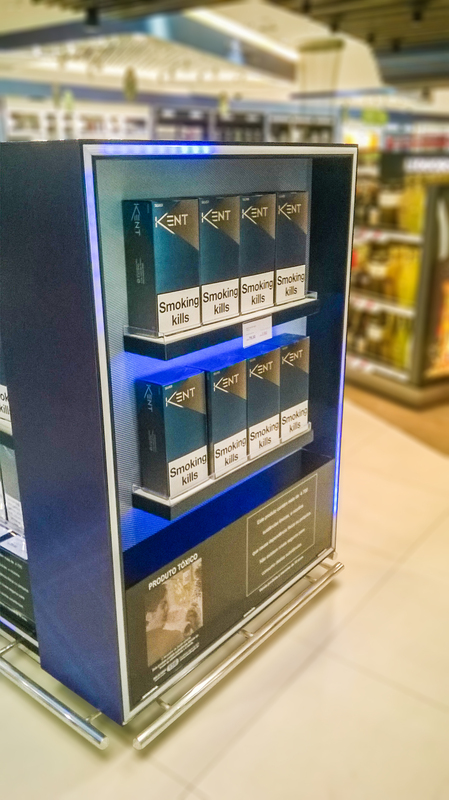 Combined with the edge lighting are glorifiers for each brand which are used to display an individual pack. The simple use of light ensures a clean and modern look is created.